A DAY AT THE SPA! HURRAY!! I am sure that everyone knows what a SPA is but I will describe it for you anyway. SPA is a brand name of a mineral water from Spa, Belgium. But our idea of a spa is a thermal bath of warm water where the water is believed to have special health–giving properties. When you arrive at a SPA you usually are given a robe, slippers, a drink and you are in the atmosphere of soothing music. There are also an array of other services like a massage or a facial. 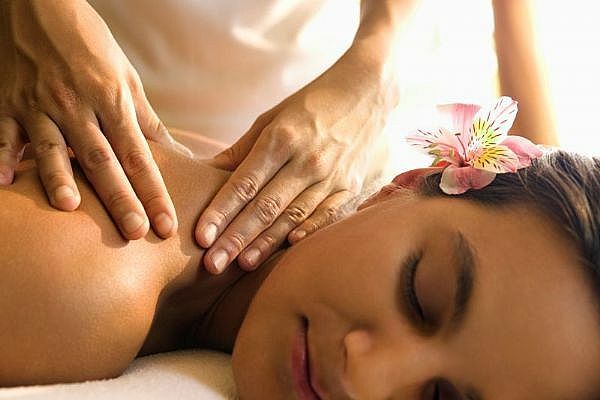 It is where you go to in order to PAMPER your body. Let’s look at God’s word and see some verses concerning your body. The Greek word for “temple” is translated a highly decorated shrine. Because the Corinthians were Greek they knew how impressive shrines were. CASE AND POINT: In Moscow, Russia, they have a gigantic white marble cathedral with golden domes that is called “Christ the Savior.” It is the largest Orthodox church in the world. It is a memorial to the sacrifices of the Russian people. Anyone going into that city sees that cathedral because it is in the center of the city. Every country loves to show off its shrines. God is no different! God desires to show you and your spouse off. When the Holy Spirit came into your heart, His work inside you was so glorious it was called a marvelous temple of God. If you have been dealing with a poor self-image, this is the greatest self-image BOOSTER. He has built for himself a beautiful temple within your heart–and that is who you are right now. Now live like the magnificently decorated cathedral of God’s Spirit that YOU ARE. The Apostle Paul is letting us know that he never wants to be disqualified. He is pouring his heart out to us. In the Greek, the word “castaway” refers to a person who was once HONORED and RESPECTED. He has now lost his testimony and forfeited his reputation and is now shamed. By mastering your body, you can now use it as an instrument in your MARRIAGE. God desires that you as a spouse, be a shrine. Can I Get Real? Christ paid a price and made an investment into your life with His blood. He has compelled you to live a righteous life so he can use you as a shrine. In return for that, you get to spend eternity in heaven. It doesn’t get any better than that. He has left his Holy Spirit as a helper so you are not alone. JUMP at the opportunity to be a SHRINE for Jesus!!!!! ARE YOU WITH ME GIRLS???? NOTE: Don’t miss tomorrows post! Daily there is a new post.